During the summer of 2018, PhD student Thomas Richardson from University of Bristol visited CELLINKs lab to manufacture and validate the Perriman Group bioink. The aims of the collaboration were to evaluate the bioink for printability on the CELLINK INKREDIBLE+ and BIO X, as well as to test the suitability of the bioink for printing of different cell types. The Perriman group bioink is based on alginate and pluronic and functions by a dual-gelation mechanism, which results in a porous and mechanically stable print with excellent print fidelity. Work performed in the Perriman lab showed that stem cells could be grown in the bioink over several weeks and tissues such as cartilage and bone were generated. 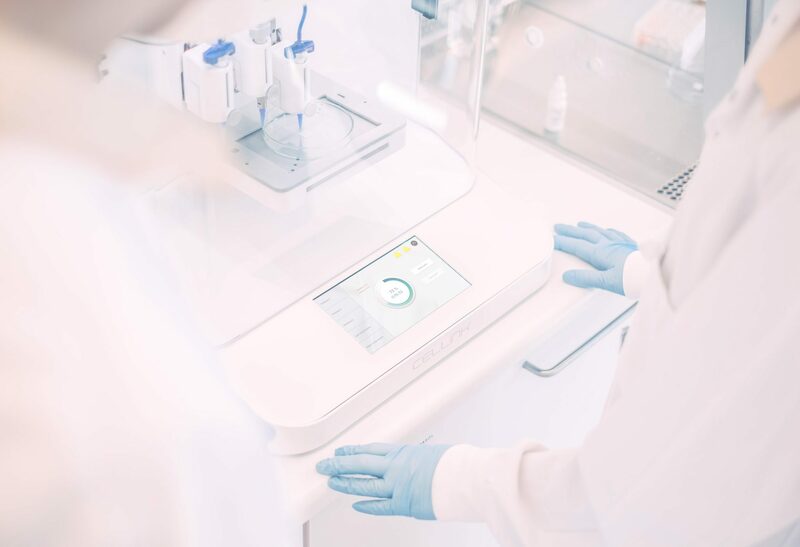 In Gothenburg, several cell lines were bioprinted and viability was analysed after one and seven days. 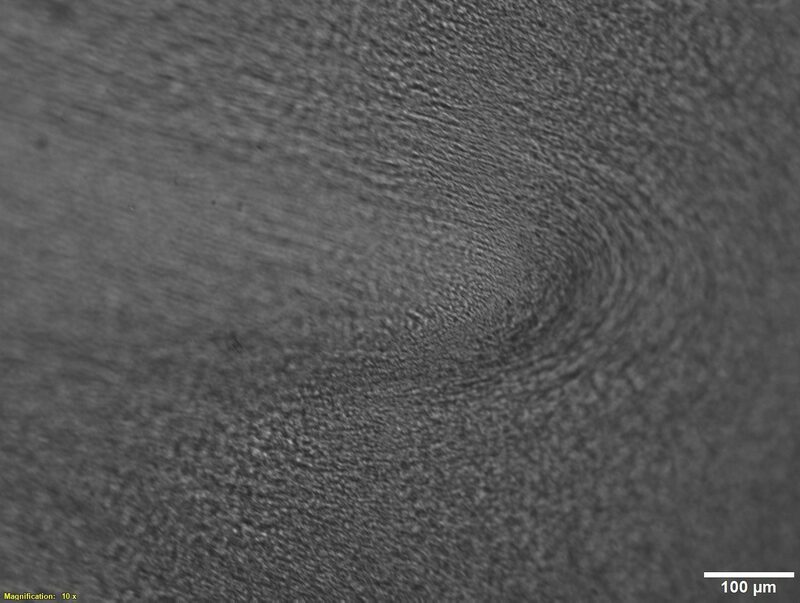 Some cell lines fared better than others, the most positive result came from the bioprinting of cancer cells which started to form spheroid-like structures after nine days. 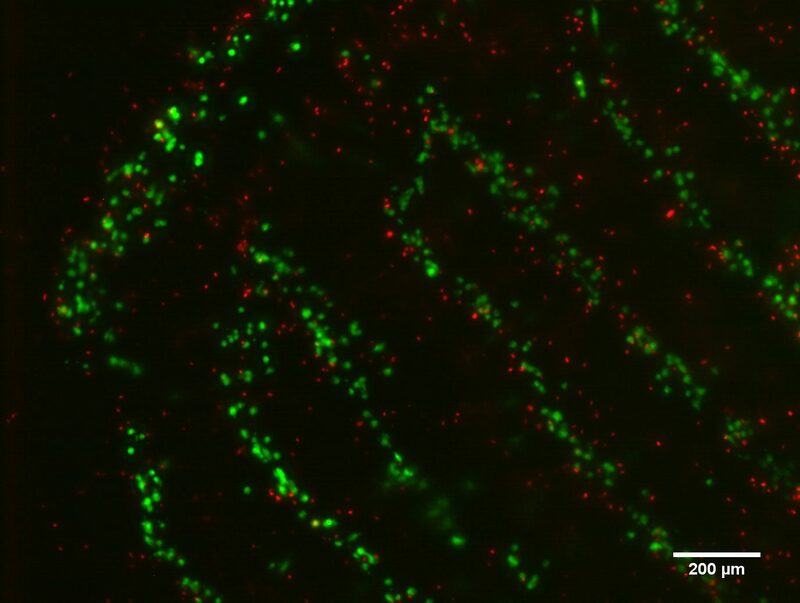 During bioprinting of grids with hepatic stellate cell, clear lines could be seen in the printing direction and the living cells also aligned in those lines as seen in the image beside where green cells are living and read are dead. 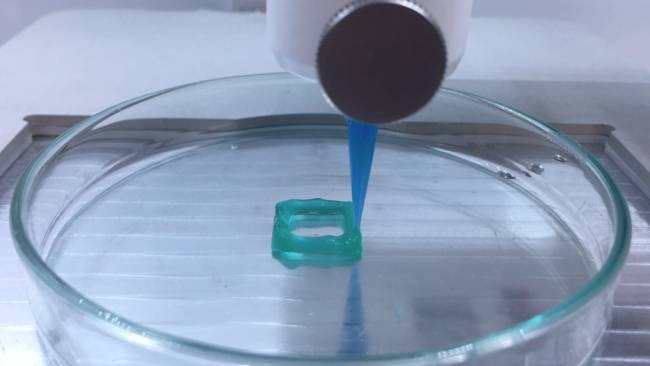 The Perriman Group bioink displays good printability and a cell viability of over 60% in 3D printed structures with cancer cells. However, the bioink needs to be evaluated further in cell lines such as neurons and fibroblasts to increase cell viability.